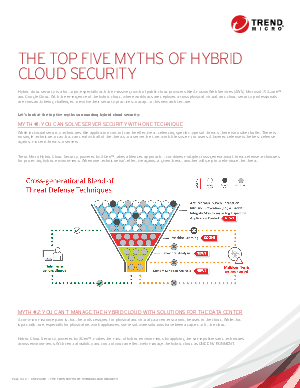 Trend Micro Hybrid Cloud Security, powered by XGen™, takes a blended approach. It combines multiple cross-generational threat defense techniques for protecting hybrid environments. When one technique isn’t effective against a given threat, another will step in to eliminate the threat.